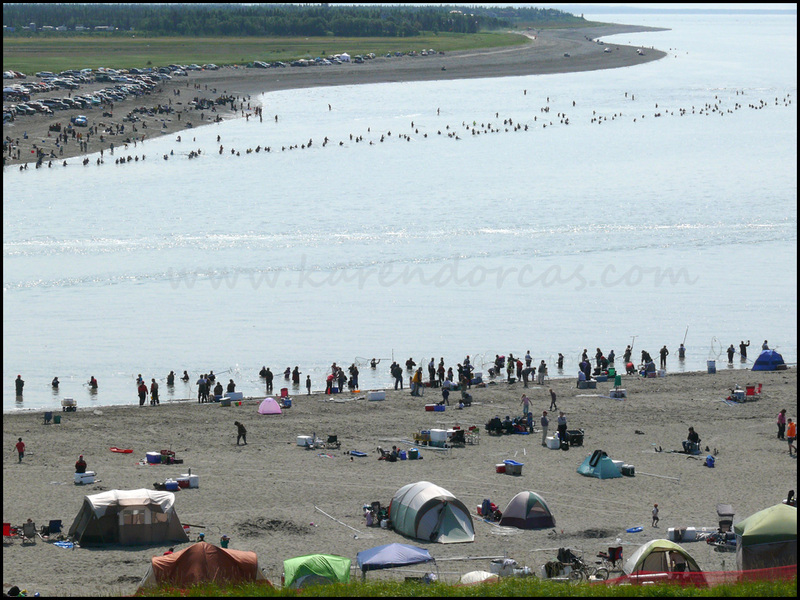 Time again for "red/sockeye" subsistence fishing - Alaska residents only... this is taken from a park in Old Town Kenai with a great view of the mouth of the Kenai River. YES - those are people standing in the water - not birds! Smiles.